Honda Motor Company, Limited is a reputed public multinational corporation and a manufacturing unit of motorcycles and automobiles. They also manufacture advanced marine engines, garden equipments, power generators, personal watchcraft and other associated machine equipments. The company also has a widespread history in carrying out extensive research on robotics and artificial intelligence. In 2000, Honda has also developed ASIMO robot. Apart from these, the company has initiated to venture out the genre of aerospace in 2004, after establishing GE Honda Aero Engines; along with Honda HA-420 Honda Jet that initiated production 102012. The company even invests over 5% of total revenue in development and research. There are currently 0 consumer reviews about Honda Motor Company available. Share your review. Please take a note that you are about to post a public review about Honda Motor Company corporate office on CorporateOffice.com. This review will be public, so please do not post any of your personal information on this website. 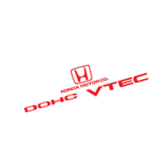 If you would like to contact the corporate offices of Honda Motor Company, please use their contact information such as their phone number, website, and address listed above to contact them. However, sometimes staff from Honda Motor Company headquarters do read the reviews on this website.